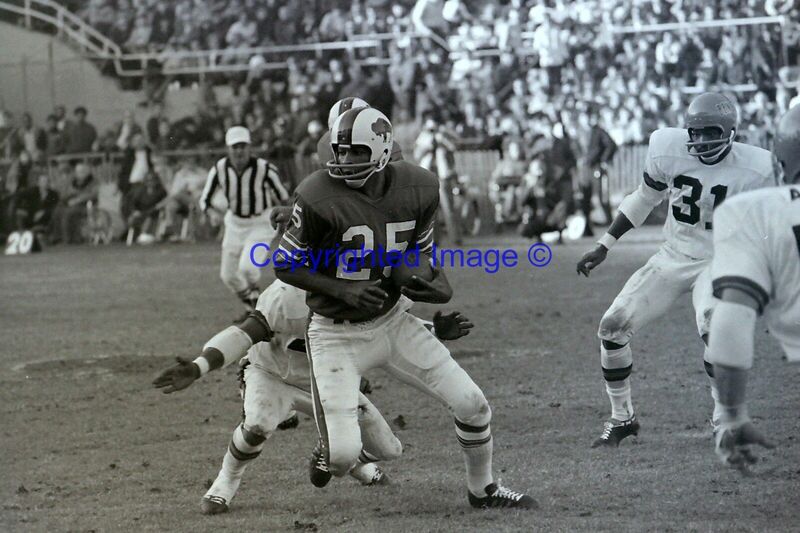 Bills 1969 home opener vs Joe Namath and the Jets at War Memorial. Kemp was QB. Bills lost 33-19 I think. I was 10 and my 16 year old sister and I walked from the Broadway-Fillmore area where we lived to Jefferson and Best. It was a gorgeous day and as we got closer there were more and more folks walking along with us. I recall the scramble during every FG or XP to catch the football. They didn't have nets then. My first was also Joe Namath and the Jets at War Memorial. It might have actually been this game. I was extremely young and only remember one thing from the experience - we were close to the field, not sure if it was warmups - I remember it was muddy, and my Dad earnestly said something to the effect "Look over there, that's Joe Namath. Remember that you saw him, he's very famous"
did not read whole thread, but mine was at the Rockpile as well. Cold as hell outside, had to pay someone $5 "to watch our car"..kid my age right in front of me carrying his ticket in his hand had it snatched. To this day my ticket is always in my front pocket with hand on it LOL. It was at London 2(?) years ago. 1977 opening game vs. Fish. I was a 10year old just in awe of being at the stadium watching the Bills. Miami 13, Bills 0 in the rain. 1968, a September home game against the jets. Bills won 37-35. It was their only win that season. In 1968 I was 6 years old. I still vividly remember my father RIP saying "I think it's time you go to a Bills game. How about Joe Namath and the Jets"
Won 37-35. 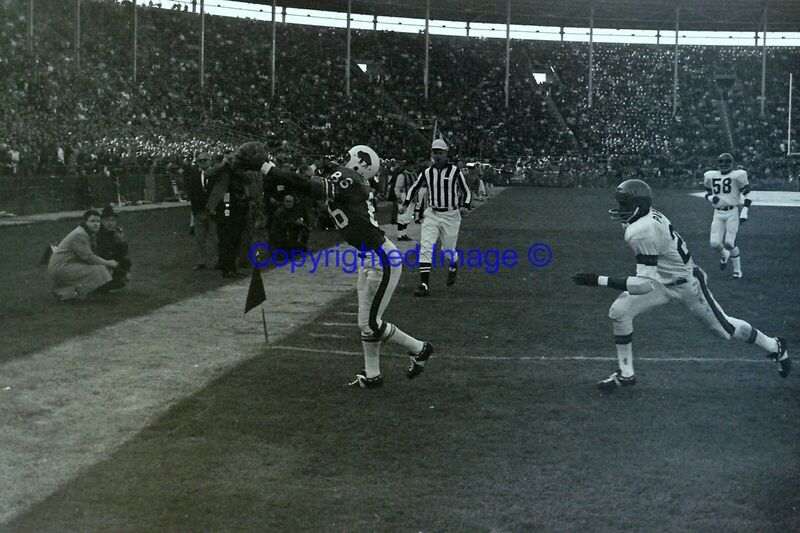 Bills had 3 pick sixes against Joe Willie - including one over 100 yards by Tom Janik. Awesome 1st Game. Yes, Namath threw 3 Pick 6’s in our lone win of the season, while the Jets went on to win the Super Bowl in January. That was our bragging rights that year. Well that, and being bad enough to draft OJ! Oilers 95 I THINK. I wasnt really a football fan yet but a coach gave me his 2 tickets and my uncle took me. I remember the talk that they weren't going to play Thurman unless he wanted his 1k yards. I also remember Russell Copeland getting blown up on a punt return. Sept 28th 1969 vs. the Broncos. 8 years old. OJ was my idol 😳I remember the Bills won!!! Kemp threw 3 TD passes. 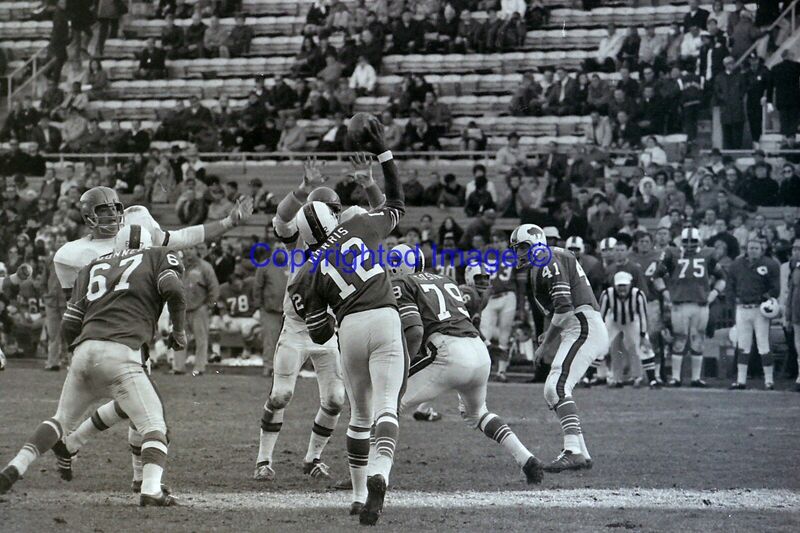 1971 Baltimore Colts @ Buffalo Bills at the old rockpile. We had goal line seats which would've been great at the other end of the field. The Bills lost 43-0 and every point scored except for one FG was at the other end. I was thrilled though because I was a Baltimore Colts fan. That ended when they moved to Indianapolis. This was also my first Bills game...and only game I saw at the rockpile. I went with my dad and some other people. I remember sitting in the "concrete steps for seats" endzone, where about twice as many people jammed into a row. I can't remember the exact year, but I know it was in the early 80s. I was about 30 years old. It was a Monday night game versus the Jets. The Bills were terrible, which made for a terrible game. It was a sellout, so Rich Stadium was filled with angry fans. There were no restrictions on beer sales at the stadium, so fans were not only angry. A lot of them were drunk and angry. I don't drink, but I think I could almost have gotten drunk on beer fumes that night. Fans were throwing full cups of beer through the air. There were fights all around. The Bills initiated limits on alcohol sales after that game. It was terrible beyond belief. Bills vs Bengals at the Rockpile. This was a present for my 8th birthday. We were in maybe the 2nd or 3rd row behind the Bills bench. OJ injured a knee during a kickoff return just before halftime, and they brought him off the field right in front of us. The team folded after that and we got outscored 20-0 in the 2nd half. I still have the penant somewhere. My first NFL game/Bills game was in 1995 when I was 10 years old. Saw the Bills beat the Falcons at Rich Stadium. At the end of the game Jim Kelly threw an interception and then arm tackled the guy who was returning the pick, and it turned out to be a freak accident and he compound fractured his leg. first game was jets vs browns (kosar browns and they heavy fav's-the jets beat em, hariltity ensued in the parking lot after the game with jet fans ragging on the brown fans) first bills game, the week after the jets's byrd was paralyzed, they played the bills-bills were heavy favs in that game, but you could just see their hearts were not in it, they basically let the jets win. The first one I remember was at Shea Stadium with my Dad around '83. Joe Cribbs caught the winning TD right in front of us in the last minute. That wasn't a freak accident. That was Jim Kelly. Are you saying that Jim Kelly meant to break his leg on an arm tackle? Maybe I am misunderstanding you. I went to a Bills practice at Rich Stadium before Kelley showed up. The game I remember most was the comeback game, almost left at halftime. 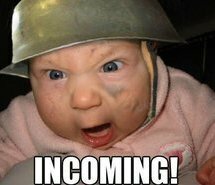 This is my earliest game memory too. Biggest impression was how dingy and depressing the stadium was and then to catch a glimpse of the bright green field and to see the Bills uniforms in color instead of B&W. Bills lost 48-6. September 12, 1982 against the Chiefs. It was hot. I went with my dad and he got this little portable television and we watched Jimmy Connors play Ivan Lendl in the US Open final in the parking lot. Fergy threw a TD pass to Jerry Butler and the Bills won. I went to a least one prior game in 1980 with my grandfather but I can't recall who they played. I still have a Bills rain poncho from that game. Opening day 1960. Memories are vague but I was there.